Focussing on the end point of a sale and practising the hard-sell approach to sales in order to seal a deal was a common technique used by salespeople in the past. 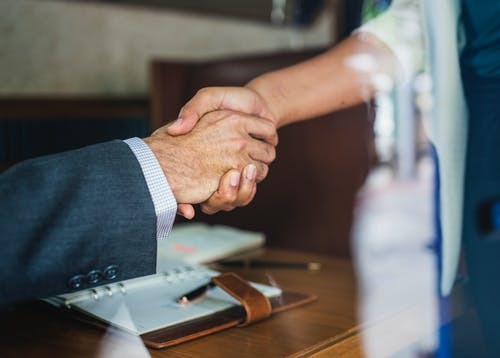 More recently, the industry understands and has learnt that building trust and sustainable relationships with prospects from the start is far more beneficial in terms of longevity, referrals and repetitive business. Gone are the days of the hard sell as consumers react badly to pushy sales reps and are more likely to back off and not return. Modern day lifestyles means that consumers are far too busy and stressed to listen to pushy sales reps and it adds to their frustration and stress levels, thus increasing their suspicions towards the product and sales person. themselves pushy. After all the customer is always right, so something needs to change. So what has changed in the way we sell? Competition, variety, reach, marketing potential, the list is endless. Look back 20-30 years ago, the internet was just getting started and not everyone had access to a PC. Discount stores and supermarket competition was half of what it is now and marketing usually came in the form of leaflets and adverts in local papers or magazines and were restricted to local or national communities. Sales professionals usually had limited time to sell a product and had to make an impact quickly over the phone or in the street and in turn received a bad reputation for being pushy and untrustworthy. Competition is vast, there is always someone out there selling the next biggest trend. The tech and electronic sector is the biggest in terms of turnaround and upgrades and the competition to produce the next best thing is fierce. The battle of the superstore vs high street is at it’s peak and advancements in technology allows product awareness to reach the far corners of the globe. The rise of discount store who are undercutting the cost of products compared to independent and brand stores, means that the high street is having to work harder to market their products and convince the consumer to spend a little more money in their stores rather than going to discount chains for a cheaper version. Consumers now have a wider choice of product and places to buy these products. It is now easier to do business globally, the reach and speed of the internet means that you can attract consumers from around the world. Social media allows business to market their products through several avenues, such as Facebook, LinkedIn, YouTube and Twitter. Networking is now targeted and is able to reach the anywhere in the world, no longer limiting businesses to local or national audiences. Never under estimate the power of word of mouth. Research suggests that retention rates are 37% higher than non-referred customers. The recommendation of a company through a friend or colleague will install trust and reliability and is four times more likely to convert to a sale. The Wharton School of Business found that referrals have a 16% higher lifetime value than a non-referred customer. This enforces the importance of building a relationship and a ‘you scratch my back and I’ll scratch yours’ mentality. Your existing customer base is your best opportunity to get referrals. Research suggests that 83% of customers are willing to refer but only 29% actually do. Encouraging your existing clients, partners and investors to refer your offering is key. The industry has recognised that there is a need to adapt to new methods of selling and to focus building relationships from the start and not to focus on the end point. The modern sales professional is changing their image and ditching the shiny suits, the cheeky chappy banter and is now far more transparent, relaxed, approachable and gender balanced. 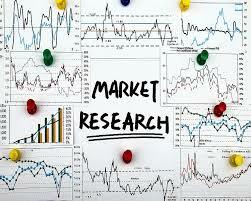 Research Runner provides sales advice and specialise in lead generation and new business. Please visit us at www.research-runner.com or give us a call on +44 (0)1279 260 031.